Summary In this market introduction project, NUON wants to gain experience with the application of large solar pv systems on buildings of green electricity clients. On three different locations, which are Adverium Drachten, Stadskantoor Culemborg and Gemeentewerf Wageningen, the possibility of solar pv systems is optimally used during the construction of new buildings. 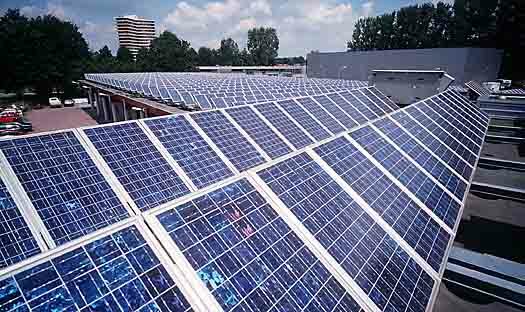 In Wageningen, the total surface of the roofs of two buildings is provided with solar panels. Because the roof would have been too weak, the panels hang on a steel frame that is placed above the roof like a ‘hovering construction’. Because of this, the roof is always accessible for maintenance and restoration.